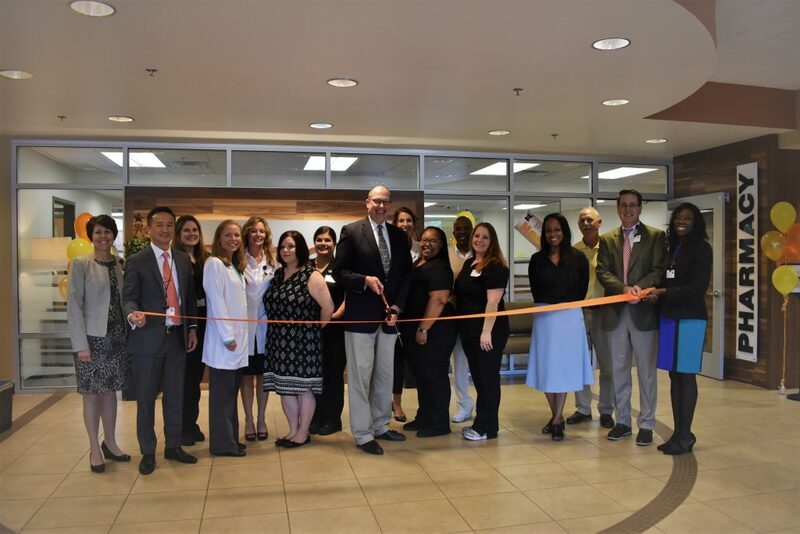 Grace Health Board of Directors, Executive Management team and Pharmacy staff cut the ribbon to officially mark the grand opening of Grace Health Pharmacy. It is a full-service pharmacy located just inside Entrance B at Grace Health, 181 West Emmett Street, Battle Creek and is open to both patients and the community. Most insurance plans are accepted including Medicaid and Medicare. Grace Health Pharmacy is open Monday – Friday 8:00 am – 7:00 pm. Come meet the staff or call (269) 441-6774. (left to right): Jill Wise, CMPE, Vice President/COO; Peter Chang, MD, MPH, President/CEO; Kerri Hansen, CPhT, Pharmacy Tech; Carrie Nelson, PharmD, Pharmacy Director; Michelle Olson, RPh, Pharmacist; MaryAnn Appling, CPhT, Pharmacy Tech; Wisdom Raynes, CPhT, Pharmacy Tech; Jim Reed, Board Member; Emily Reidenbach, PharmD, Pharmacist; Shay Mitchell, CPhT, Pharmacy Tech; Chris McCoy, Board Member; Jennifer Schultz, CPhT, Pharmacy Tech; Bridgette Jones, Board Member; Tim Knowlton, Board Member; Scott Hutchings, CPA, Vice President/CFO; and Judean Johnson-Morgan, DO, Vice President/CMO.